← Don’t eliminate email. Charge for it. It is election season here in the United States, and the stump speech–a standard, boring and short on substance pitch delivered by the acting and aspiring (and often uninspiring) politicians–is back in vogue. Recently, I recognized what the stump speech reminds me. It reminds me of our endless talks about establishing a culture of innovation. The same stuff: too many words, too little substance. What really bothers me is that while calling to “nurture a culture of innovation,” “promote risk-taking and experimentation” and “celebrate failure” (why on earth should we celebrate failure? ), we ignore practical measures to support more entrepreneurial corporate spirit. So I decided to compose a list of specific corporate policies that organizations may try in order to establish the culture of innovation. I must admit that at the moment, the list is depressingly short. It actually includes only two entries. I propose to make stock option grants, as opposed to cash bonuses and other monetary rewards, the principal incentive for engaging employees in innovation projects. This proposal is based on a 2015 finding that companies offering stock options to non-executive employees were more innovative, and that the positive effect of stock options on innovation was more pronounced with longer-term grants. I propose to place employees involved in innovation projects on fixed-term employment contracts, as opposed to employment-at-will. Alternatively, the creation of tenure-like job arrangements for people involved in strategic innovation initiatives can be considered. This proposal is taking cue from a 2001 study showing that labor laws making it more difficult to fire employees increase their participation in corporate innovation activities. The authors of the study argued that the lower threat of termination produced by stronger anti-dismissal laws decreased the “cost of failure” for employees to engage in potentially risky innovation projects. As it turns out, labor laws may have surprisingly strong effect on innovation. Another study has recently found that companies in 34 U.S. states having the so-called constituency statues produce more high-quality patents than those in 16 states lacking the statues. A constituency statue encourages corporate directors to consider non-shareholder (e.g., employees) interests when making business decisions, therefore forcing them to think of the long-term interests of their companies rather than the short-term profits. 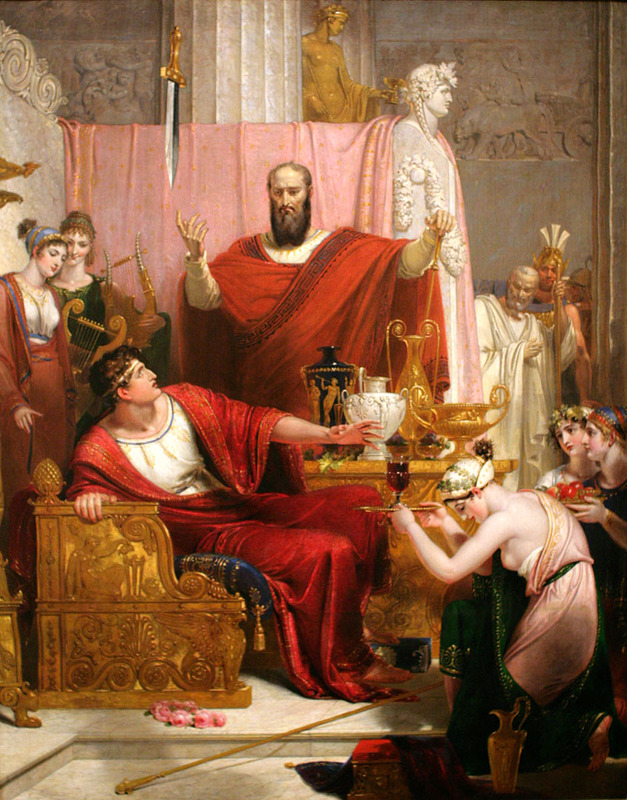 The both studies strongly suggest that the best way to encourage risk-taking and experimentation is to remove the proverbial Sword of Damocles of punishment for innovation failure, something that any organization can easily do by modifying its termination policies. In other words, providing employees with immunity for failed innovation projects is better than celebrating them. This entry was posted in Innovation, Rewards and Recognition and tagged constituency statues, Culture of Innovation, Entrepreneurship, Innovation, Innovation Management, Intrapreneurship, Rewards and Recognitions, Richard Westall, stump sppech, Sword of Damocles. Bookmark the permalink. This “fear of failure” for trying to innovate and failing is also known as the “organization’s terror quotient”. The higher the quotient, the less likely a person is going to take chances. When i was running JAMCORP I had some rules. Ideas got numbers, not names. It’s never Bob’s idea, rather idea #712. This took the personality issues out of it. Worked rather well. We also talked about ideas not as good/bad but rather weak and strong. Strong ideas just keep cropping up, they pop up again and again, and have lots of application. Weak ideas just die.